Herr's introduces a snack like no other. Our Hulless Puff'n Corn delivers the irresistible taste and texture of old-fashioned popcorn with a newfangled twist-no hulls or kernels to detract from your snacking pleasure. 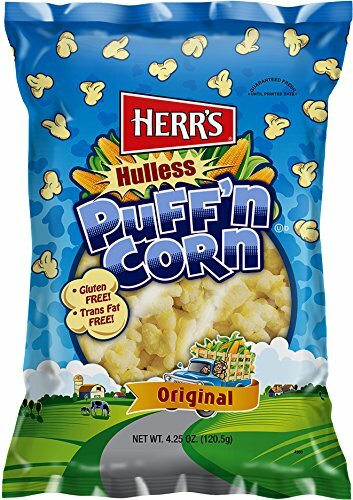 Herr's Hulless Puff'n Corn. It's the most fun you can pop in your mouth. If you have any questions about this product by Herr's, contact us by completing and submitting the form below. If you are looking for a specif part number, please include it with your message.